When creating the third women's scent under his exclusive "Juliette Has a Gun" brand, Romano Ricci had a vast history in perfumery to draw upon. With family ties rooted firmly to the French perfume/cosmetics powerhouse Nina Ricci, the architecture of Citizen Queen demonstrates that Romano is indeed of excellent stock. Juliette Has a Gun is a brand that celebrates dominant femininity, where Shakespeare's heroine Juliette has been used as a muse; only she has been reinterpreted and refashioned for the 21st century. Teaming up with renowned nose Francis Kurkdjian, Ricci has created a modern day chypre for contemporary femme fatales. The composition is based around sumptuous rose and animalic leather, and its plentiful use of shimmering aldehydes liken it in many ways to vintage French creations such as Chanel No.5. But whilst Citizen Queen lifts her pistol to tip her hat to the perfume traditions of yesteryear, she stands firmly with her stockinged foot planted in the here and now. 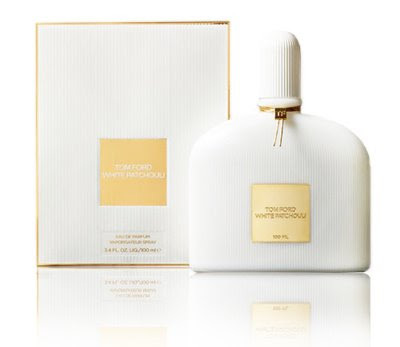 The scent opens with wonderful florals and luminous aldehydes that rush to fill the back of the nose. Iris, immortal flower and bulgarian rose engage in a three-way tango across the floor of this perfume, whilst warm amber and soft leather smoke silently in the shadows. There is a wonderful transitory period where this leather accord features... slightly bitter and animalic in nature, it delicately suggests the odours of tanneries from whence the leather has been sourced. Here one can detect something dirty and intriguing beneath the surface... perhaps if Chanel No.5 and Agent Provocateur were to produce an illegitimate lovechild, Citizen Queen would be it. She displays all the characteristics of being a conservative little Daddy's girl by day, and a pistol-packing coquette by night. This scent, marketed toward women, could also be worn by a man looking for something avante garde, straddling the line between the masculine and the feminine; the old and the new. In terms of persistence, it will offer 8-10 hours of wear... and, much like the modern day gun-toting heroine herself, Citizen Queen will demand your attention and your respect. As a child, I had an incredible sweet-tooth and it would appear now as an adult, very little has changed. But there are only a handful of sugary treats that I am seldom able to stomach. One is liquorice, and the other; Turkish delight. From its beginnings in Persia as ahbisa, and then Turkey as rahat loukhoum, this jelly-like confection scented with rosewater and dusted in sugar has survived the centuries. But I was never a big fan of its sticky texture and inordinate sweetness. This is not to say, however, that I'm not visually and olfactorily excited by these powdered pink morsels that have been romanticised and popularised throughout the ages. Whenever I'm offered a piece of this candied jelly, I will usually politely decline, but stop to take a moment to inhale its wonderful aroma. To me, the scent of turkish delight is far more arresting than the taste. 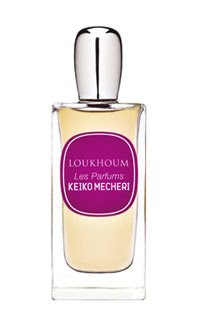 So it was with some trepidation that I recently sampled Keiko Mecheri's Loukhoum... I was fearful that perhaps I would be exposed to the olfactory equivalent of the saccharine taste of loukhoum, as opposed to its exquisite perfume. But my concerns were unfounded. What I experienced when applying this to my skin was a beautifully radiant rose (which I had expected), but also the wonderful snowy powder of dry dusting sugar. A puff of silken florals emerged over a swirl of soft vanilla and fragrant candied almonds. After some time, I detected a comforting 'milkiness' which was both 'opaque' and 'white' in nature. Loukhoum has been well devised so that it imbues the air around you with an aromatic aura. It is not outlandishly cloying, but it does have incredible sillage and persistence. I am pleased to have tried this eau de parfum, because it given me a new appreciation of the confectionary. And though I doubt any time soon I will be scoffing boxes of turkish delight like young Edmund in Narnia, I do like the idea that I can enjoy the best part of what this sweet has to offer - without the cavities, of course. In fragrance circles, there is little known or spoken of with regard to the history of S.T Dupont. Perhaps best known nowadays for their iconic lighters, the French luxury house S.T Dupont was founded in 1872 when Simon Tissot-Dupont opened a prestigious leather goods workshop in Paris. His luxurious leather accessories saw his company rapidly become successful amongst the Parisian high society, and later his sons André and Lucien Dupont went on to produce items for the cream of international society: Cartier, Aspreys of London, the Maharaja of Patiala and the British Royal Family. New innovations came during the highly creative Arts Deco period, and later, with the scarcity of raw materials available during the second world war, the Dupont brothers turned their attention to producing the first pocket petrol lighter. The move was a spectacular success, and to this day, their meticulously crafted metallic, enamelled lighters remain a symbol of status and good taste. In the 70s, the company shifted focus and added bejewelled writing instruments, watches and men's accessories to their portfolio. It was only in 2003, the brand experienced somewhat of a revival where they sought to produce luxury items that stood at the crossroads between tradition and innovation. A new era saw them apply its values and graphic language to contemporary products such as laptop cases and USB keyrings - all of which carry the S.T Dupont emblematic pattern: the Diamond Head. In a marriage between tradition and glamour, in 2006 S.T Dupont launched S.T Dupont Noir - a masculine scent, packaged in a striking obsidian-black glass flacon carrying the faceted Diamond head motif. It is a wonderful object to hold in the hand... both monolithic and cold, its high-shine surface captures and reflects the light beautifully. Im my humble view, the scents in the S.T Dupont portfolio are vastly underrated. Noir is a fragrance that I wish was awarded the attention it deserves. Its a heavyweight amongst the lightweights... meaning that, for a scent created for the designer market, it is remarkably robust. 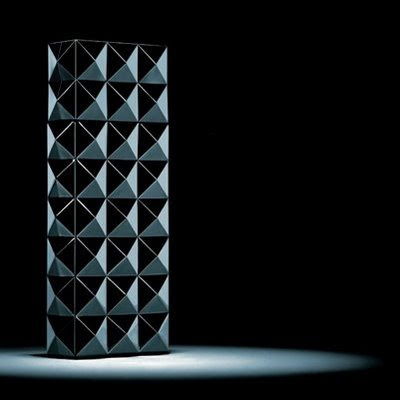 Created by perfumer Michael Girard, Noir is a scent full of contrasts... it opens with a wonderfully cool jet of mint and soft butterfly lavender which lull the wearer into believing this fragrance is anything but "Black", but then it takes an exotic, spicy turn with cardamom, mace, fragrant clove, and precious woods. It is this warm, piquant heart that prickles with embers of allspice, and, when warmed on the skin, it radiates magnificently. Application in warm weather will allow these accords to truly blossom and captivate! Vetyver, fragrant woods and sensuous cashmeran all dominate on the drydown. Noir is an above-average scent, with above-average persistence. I feel it is very fitting as a smart office fragrance, or for evening excursions. It is as vivid and lively as the night itself: dark shadows, pounced with light, and brimming with promise. As far as I'm concerned, Tom Ford is an apostle of modernity. For a number of years now, he (and his creative entourage) have managed to accurately predict and lead new movements in fashion, design, and beauty. His monosyllabic first and last name has become a phenomenal global brand, associated with self-indulgent style and contemporary elegance. Though the man himself is rumoured to be a fastidious workhorse, he has the rare capacity to make it all seem so effortless. He is also a man who possesses the uncanny ability to envisage upcoming shifts in trends and tastes; and the savvy to act upon it. When Black Orchid, (his first commercial scent to emerge from beneath the Ford Beauty umbrella) hit the open market, I was wowed. Not only was it launched at a time when 'Hollywood glam' was making a comeback in fashion and beauty, it actually led the charge. Ford had foreseen the trend, and produced an opulent elixir full of drama and elegance to bring to the masses. Now, in 2008, Tom Ford has peered into his crystal ball once again and proclaimed an imminent return to retro-classic influences, and bohemian chic. And therein lies the justification for White Patchouli... Ford's new scent, launching this month. Patchouli oil was worn to excess in the 70s, in an age where free love and psychedelic 'counterculturalism' was the norm. Now some 30 years later, Ford has borrowed from this revolutionary time, and reworked patchouli into something very different. Just as the hippies were known to explore different states of consciousness, White Patchouli can also be viewed with a sense of 'altered reality'... a modern-day patchouli done through a swirling smokescreen of white flowers and blonde woods. When first applied, I am struck with a stab of clean bergamot which recedes almost instantly, making way for a very sharp collection of florals. My initial observation is that there is a likeness to the opening spritz of Narciso Rodriguez For Her... it is much like the sensation of drawing a thick silk ribbon across the back of one's neck... icy cool, yet 'humming' with warmth. Rose absolute and jasmine pirouette across the topnotes, but then a 'dirtiness' emerges from below as the famed patchouli ascends to the throne at the heart of this scent. And there it stays, drawing in the satellite accords around it like minions. Whilst patchouli is 'king' here, I find White Patchouli a rather linear fragrance... perhaps after an hour or so, I detect a small shift towards a puff of birchwood and incense, but both are rather lightweight and superficial. I am surprised to find that this perfume's persistence is rather poor - at least on my skin. Whilst I'd strongly advise that it be tried and worn by both men and women (despite it being marketed as a women's fragrance), I do wonder if other users will also have longevity issues that may prevent them from a making full-bottle purchase. If it weren't for this simple flaw, I feel I might have been won over completely. There is no denying this is a beautiful perfume, executed well, with a tip of the hat to the 70s. At the same time it is strikingly contemporary. This can be said of much that emerges from the house of Tom Ford. Will White Patchouli be a success? I think you can bank on it. In my book, French jeweller/perfumer Olivier Durbano can do no wrong. Of his three stone poems released to date, I have been entirely enchanted by them all. I perhaps might have baulked at the idea that I would one day come to admire and appreciate every fragrance offering launched by any single 'niche' house; but, here I am with Black Tourmaline in hand, and I have been won over. Again. In nature, black tourmalines grow in wand-like columns, and are characterised by their raven-black colour and parallel ridges that span the length of the stone. As far as semi-precious stones are concerned, the black tourmaline is dark, raw and mysterious... all qualities of which have been appended and cleverly applied to the perfume. This scent immediately unfurls with a swelling cloud of sharp black pepper and thick smoked wood... the sensation is intense and palpable; somewhat akin to inhaling the hot, heavy air inside a sauna. All the while, a rich bouquet garni of fragrant spices - cardamom, coriander and cumin - simmer beneath the surface and imbue the air with their dry, aromatic piquancy. A hiss of oudh lends an opulent richness to the composition, and it snakes its way across the glorious frankincense that I have come to recognise as the starring accord in all of Durbano's perfume creations. It is this wonderful incense/resin that is also common to Amethyste and Rock Crystal, and here, it contributes a profound 'otherworldly' appeal. As the fragrance evolves, these accords shift and interweave with dark patchouli, amber and dry woods. Black Tourmaline is a hauntingly beautiful eau de parfum. It has phenomenal sillage and remarkable persistence, and can be enjoyed by both men and women. Much in the same way black tourmalines were once worn by the ancients for their protection against evil; one might also wear this scent as somewhat of a 'perfume talisman'... one that strikes a curious balance between the earthbound, and the ethereal. Olivier Durbano is currently working on Jade: the fourth in his series of seven stone poems. It has been a number of years since I worked with the renowned jeweller, hotelier and perfume house, Bvlgari. Their brand is synonymous with style, elegance and luxury, and (I am told) a night's stay in one of their lavishly-appointed hotels can quite literally break the bank (much in the same way purchasing one of their eye-popping baubles might)! But ever since Greek jeweller Sotiris Bulgaris left his home in Northern Greece in the late 1800's, to set up shop in Rome; the brand that still bares his name to this day has grown into a global powerhouse. More than 100 years after this monumental move to Italy, it was the French perfumer Jean Claude Ellena who was commissioned to create the house's very first Eau de Cologne, named Eau Parfumée au Thé Vert: an elegant splash centred around green tea and soft, clean citruses. It proved a hit, and paved the way for several subsequent releases in the Eau Parfumée range: Eau Thé Blanc, and Eau Thé Rouge. But for my money, I personally feel the concentrated version: Eau Parfumée Au Thé Vert Extrême is the standout scent in this portfolio. 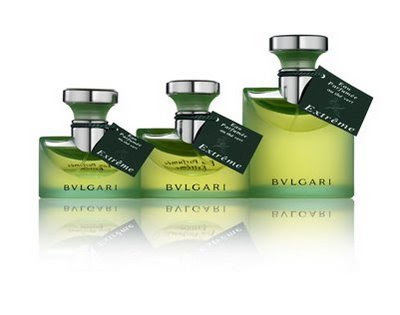 Often unfairly overlooked (and identifiable by it's shorter, wider bottle adorned with a dark green label), the Extrême release is distinctly more intense than the original eau de cologne. An eau de toilette for men and women, this release again focuses on green tea, but also light florals and zesty Italian bergamot. White pepper serves as the humming heart over which these radiant green floral accords shimmer. Where the original EDC seems somewhat harsher and dryer to the nose, the EDT brims with fresh green vitality. I am impressed with its longevity, and as a refreshing summer tonic, Extrême artfully awakens and stimulates the senses. I detect some parallels with the citrus accords in Cartier's Declaration For Him, and those also found in Acqua di Parma's Colonia Intensa. Next time you pass by your local Bvlgari installation (or indeed stay for a time in their opulent Milano hotel or Bali resort), be sure to reward yourself with a spritz of the good stuff. Eau Parfumée au Thé Vert Extrême does not disappoint.